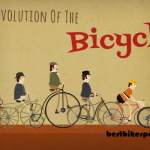 Cycling is a highly valued modern-day sport and method of exercising. Not only is it expensive and environmentally friendly, but it is also very healthy for your body. we are discussing to lose weight through cycling. If done right and made part of your daily routine, cycling can assist you with losing weight in heavy amounts. It allows you to remain fit and can be adjusted into your day quite conveniently. It is important to be able to understand that riding more is key for your weight loss. 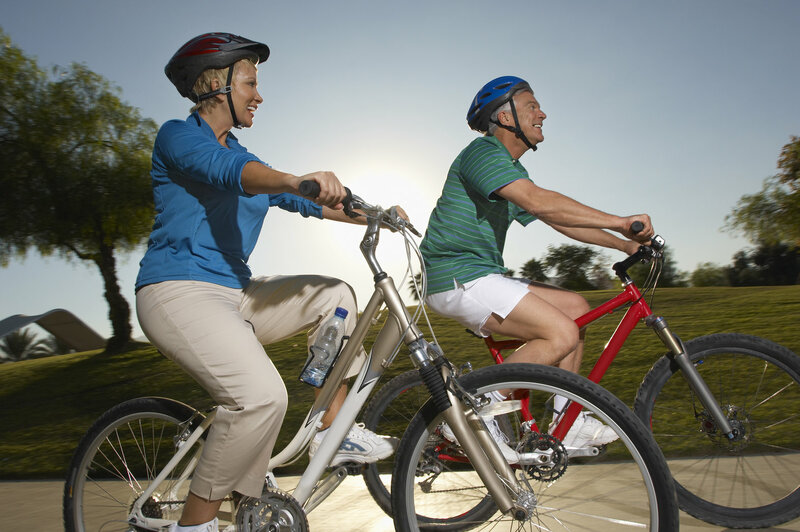 It is said that around 10 hours of biking weekly can allow you to burn 6000 calories. There are various ways online which you can use to calculate the number of calories you can burn with your ride. This is where riding more is going to help and when you have ridden more, go ahead and ride some more. However, if you are busy with your schedule and cannot ride every day, you can opt for a long and slow ride once or twice a week. This will allow you to develop your endurance as well as burn a good amount of fat. At the same time, if you are short on time, you can go hard and fast. A short amount of such a ride will allow you to burn a good number of calories. Remember that it is key to be able to balance your daily routine and decide the length of your ride accordingly. If you have an office job, then commute is definitely part of your day. This is an ideal opportunity for you to look into cycling to your workplace. This will allow you to fit in two journeys of cycling into your daily life, and this will be unavoidable as you will need to get to work every day. Every mile you cycle will help to not only reduce your fat and burn calories but also reduce your transport costs. Commuting with your bike can certainly be a commitment that will allow you to move toward a good amount of weight loss. You can definitely cut down on your calories by managing your diet, but it is important to able to balance a good amount of fat with your muscle. An imbalance in this regard will result in you becoming weaker and maybe even becoming incapable of cycling. Dieting can result in weight loss along with cycling, but you need be aware of how much weight you are losing. It is also important to remember that muscles burn calories, so losing muscle will result in gaining fat faster, regardless of your dietary habits. You also need to remember that cycling is a sport. For a sport, you require a fit body with a good muscle volume. Therefore, keep your body fit by hitting the gym from time to time. Balancing your upper body muscle with your cycling routines will allow you to increase your weight loss in an efficient manner. Sometimes the amount of food you eat does not matter, but what does matter is the nutritional balance within the food involving fats, proteins and carbohydrates. Your meals should have a less amount of fat and higher amount of carbohydrates. This will assist you in your weight loss and will make your body healthier for your cycling routines. Remember not to harm yourself with a lack of food and an abundance of exercise. This is deadly and will harm your body more than you think. It is important for you to recover and recharge properly after every ride you take. Increase your carbohydrate intake and make sure you are feeling energetic and recharged. Not eating will not help you with weight loss but will, in fact, lower the energy in your body and develop the potential of you falling extremely ill or fatigued. It also crucial to keep in mind the key to hydration. Whether you are riding in hot or cool weather, you will have the urgent need to remain hydrated. Cycling demands a lot of your energy, so to enhance the weight loss procedure, you need to fill up your water bottle properly. Therefore, keep your bottle filled and make sure you are drinking enough water for your exercising routines. Most importantly, you need to be your best motivator, mentor, and support system. Believe in yourself as you exercise, cycle and move toward losing weight. It is not an easy task to be able participate in a sport on a regular basis and to move toward weight loss through it. However, exercising also releases endorphins and raises your energy levels. Continue to stick with your routine and reward yourself from time to time in order to move toward your goals in a better manner and remain dedicated to them. Cycling can be a challenging sport, but it is also one you can use with your routine to reduce weight. If done properly, you will be able to manage both your lifestyle and exercising routines by incorporating cycling into your life. Move toward this idea while keeping other factors into place as well such as your diet, energy levels, water, gym routines and belief in yourself. These will be catalysts for you to be able to boost your weight loss routine through cycling, and such efficiency will take you to places where you will be feeling happier about your choices. Hence, keep at it and reap your results!